In light of so many complete series collections being released this year, several of which are for very popular shows that are being released on DVD for the very first time (these shows contain a lot of music that made releases difficult due to the high cost of clearing the music- those obstacles have now been overcome! ), I have decided to create a special thread that will list the various collections that are coming out for various iconic Classic TV shows. I had created a similar thread a few years back that I was going to resurrect but unfortunately it is nowhere to be found?! The Vietnam-war era drama has FINALLY made its appearance on DVD! Star Vista Entertainment / Time-Life released China Beach - The Complete Collection on DVD for the first time on April 15, 2013 as an exclusive release, available only through their online store. The 21-disc set features all 62 episodes of the series with over 94% of the original music (302 of 319 songs) as well as tons of bonus features including all-new cast reunion, interviews with cast and crew, featurettes, commentaries, deleted scenes, a 36-page collectors booklet and replica dog tags. The have also released individual season sets, with S1-3 being released thus far. The fourth and final season will be released on September 23, 2014. Last edited by CDN Viewer; 08-20-2014 at 05:45 PM. 1980's cult favourite, a spin-off from a sketch on The Carol Burnett Show has FINALLY been released on DVD! Star Vista Entertainment / Time-Life released Mama's Family - The Complete Collection on DVD for the first time on September 22, 2013 as an exclusive release, available only through their online store. The 24-disc set features all 130 episodes of the series as well as tons of bonus features including all-new cast reunion, interviews with cast and crew, 'family' sketches from The Carol Burnett Show and a special collectible Mama's Family Album with character bios, family tree and photos. The have also released individual season sets, with S1-4 being released thus far. Season 5 will be released on September 23, 2014. Last edited by CDN Viewer; 08-20-2014 at 01:05 PM. 1980's action series featuring renowned actor Edward Woodward is coming to DVD in a special limited edition collectors collection! Last edited by CDN Viewer; 08-20-2014 at 01:00 PM. 1970's classic sitcom featuring future star John Travolta will be released on DVD this August. Shout! 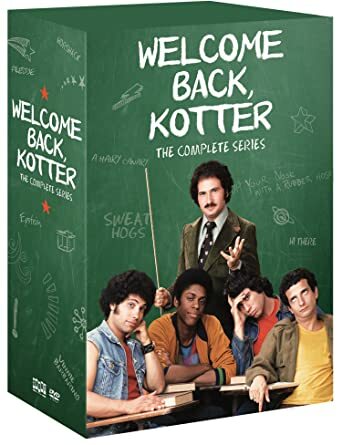 Factory will release Welcome Back, Kotter - The Complete Series on DVD for the first time on August 26, 2014. The 16-disc set features all 94 episodes of the series as well as 'Only a Few Degrees from a Sweathog', an exclusive featurette and the actors original screen tests. 1970's fan favourite sitcom will be released on DVD in a new complete series collection this September! 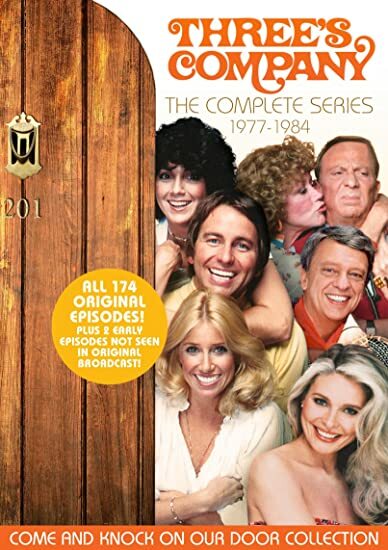 Anchor Bay Entertainment will release Three's Company - The Complete Series on DVD for the first time on September 2, 2014 as an exclusive Amazon.ca release. 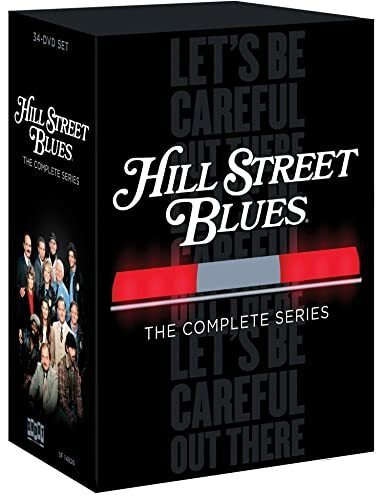 The 24-disc set features all 174 episodes of the series as well as bonus features, the same ones that were previously available on the season sets. They include: 2 original pilots never before aired, bloopers, commentaries, photo galleries, cast interviews and tribute featurettes for John Ritter & Don Knotts. 1970's cult favourite is FINALLY! coming to DVD in a new complete series collection this October! Shout! 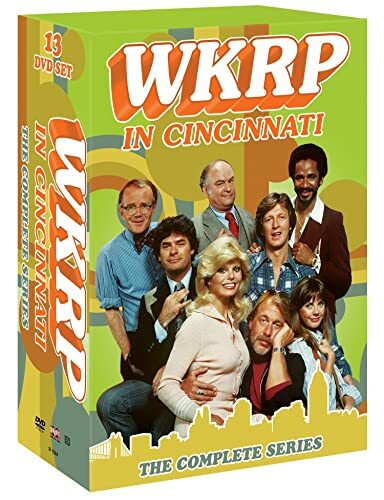 Factory will release WKRP in Cincinnati - The Complete Series on DVD for the very first time on October 28, 2014. The 13-disc set will feature all 90 episodes of the series as well as bonus features including featurettes and a Paley Center cast reunion. Last edited by CDN Viewer; 10-15-2014 at 02:45 PM. The iconic drama of the 1980's and one of the most popular shows in the history of television is FINALLY! 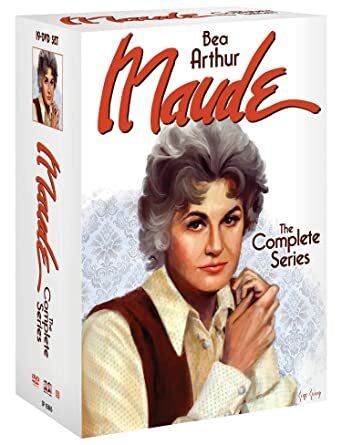 coming to DVD in 3 new complete series collections. Star Vista Entertainment / Time-Life will release The Wonder Years - The Complete Series on DVD for the first time in October 2014 as an exclusive release, available only through their online store. The 26-disc set will feature all 115 episodes of the series with over 96% of the original music (285 of 299 songs) as well as over 23 hours of exclusive bonus features including an all-new cast reunion, outtakes, cast & crew interviews, 10 newly produced featurettes, 2 replica notebooks featuring episode information and production photos, a replica yearbook with signatures from cast members as well as behind-the-scenes photos and show memorabilia. Complete Series- Housed in a replica metal locker, it will include all the bonus features mentioned above. The Wonder Years Experience- Features all the elements of the complete series set as well as exclusive memorabilia: Kennedy Junior High T-shirt, gym socks, vintage gym bag, pennant, commemorative patch, The Wonder Years collectible pins and a Newly-produced CD featuring the iconic music from the show. The Wonder Years Signature Edition- Features all the elements from the complete series set and experience edition. This set will be limited to 500 and each set will be autographed by cast members and will be housed in a numbered locker and include a certificate of authenticity. The cult classic series from the 1960's is FINALLY! coming to DVD & Blu-ray in new complete series collections. 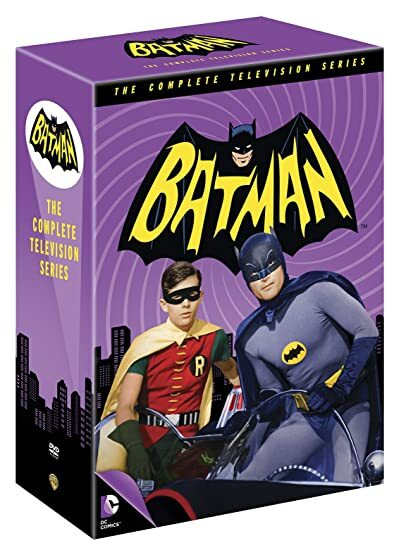 Warner Home Video will release Batman - The Complete Television Series on DVD & Blu-ray for the first time on November 11, 2014. The 18-disc DVD set and 13-disc Blu-ray set will feature all 120 episodes of the series completely remastered as well as over 3 hours of exclusive bonus features including cast & crew interviews and newly produced featurettes. The Blu-ray edition will also contain memorabilia including an exclusive Hot Wheels replica Batmobile, scrapbook, 44 Vintage Trading cards and an episode guide. Last edited by CDN Viewer; 08-20-2014 at 02:20 PM. Popular '50s sitcom will FINALLY be available in its entirety on DVD in a new complete series collection. Shout! Factory will release SGT. Bilko: The Phil Silvers Show - The Complete Series on DVD for the first time on November 4, 2014. The 20-disc DVD set will feature all 143 episodes of the series as well as bonus features. Last edited by CDN Viewer; 08-20-2014 at 07:20 PM. Iconic '70s sitcom will FINALLY be available in its entirety on DVD in a new complete series collection. Shout! Factory will release The Jeffersons - The Complete Series: The Dee-luxe Edition on DVD for the first time on December 9, 2014. The 33-disc DVD set will feature all 253 episodes of the series as well as bonus features which include a featurette and all 4 episodes of the short lived spin-off series 'Checking In'. Last edited by CDN Viewer; 10-15-2014 at 02:50 PM. The iconic 80's police drama from Steven Bochco that influenced other series that followed such as NYPD Blue & ER, was released on DVD on by Shout! Factory on April 29, 2014. The 34-disc collection features all 146 episodes of the series as well as bonus content including a commemorative 24-page booklet and new interviews with creator Steven Bochco and cast members. 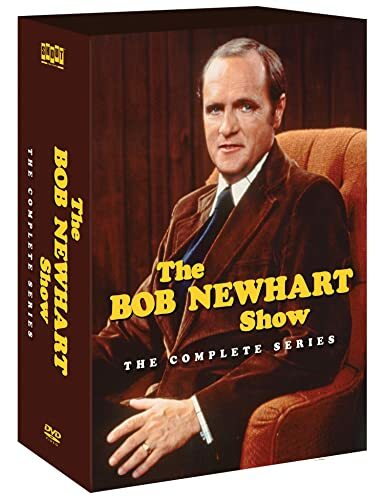 The classic 70's sitcom starring famed comedian Bob Newhart was released on DVD on by Shout! Factory on May 27, 2014. The 19-disc collection features all 142 episodes of the series as well as numerous bonus features including all-new interviews with cast members, the original unaired pilot, the 19th anniversary clip show, commentaries, gag reel and a commemorative booklet. 1960's classic sitcom will finally be available in its entirety (including Original Uncut episodes for Season 1) on DVD this December. Shout! 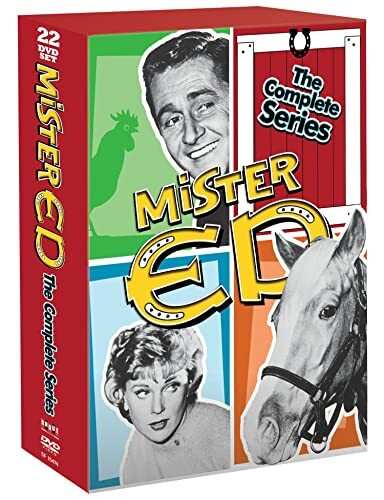 Factory will release Mister Ed - The Complete Series on DVD for the first time on December 9, 2014. The 22-disc set features all 143 episodes of the series as well as bonus features including commentaries and interviews with cast members. Popular '80s sitcom will FINALLY be available in its entirety on DVD in a new complete series collection. Groundbreaking '70s sitcom will FINALLY be available in its entirety on DVD in a new complete series collection. Original All In The Family episode "Cousin Maude's Visit"
Original All In The Family episode "Maude - Pilot"
Unaired episode 115 "The Double Standard"
Unaired episode 316 "Maude's New Friends"